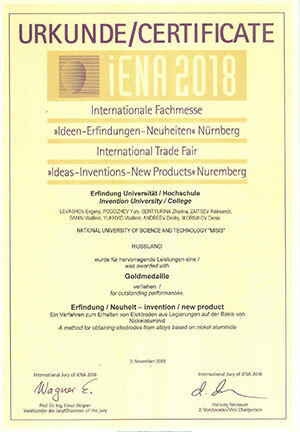 The German International Trade Fair of "Ideas – Inventions – New Products" (iENA 2018) took place on November 1–4th in Nuremberg, Germany. This is one of the most important international forum, where inventions and new products from all over the world present to the public for the first time. 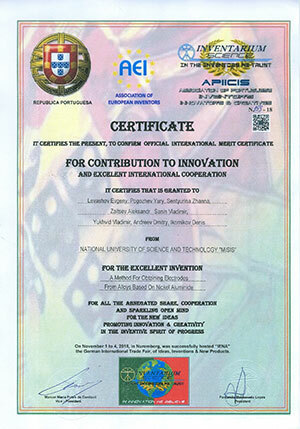 This year iENA celebrated it’s 70th Anniversary. More than 800 developments were presented there. 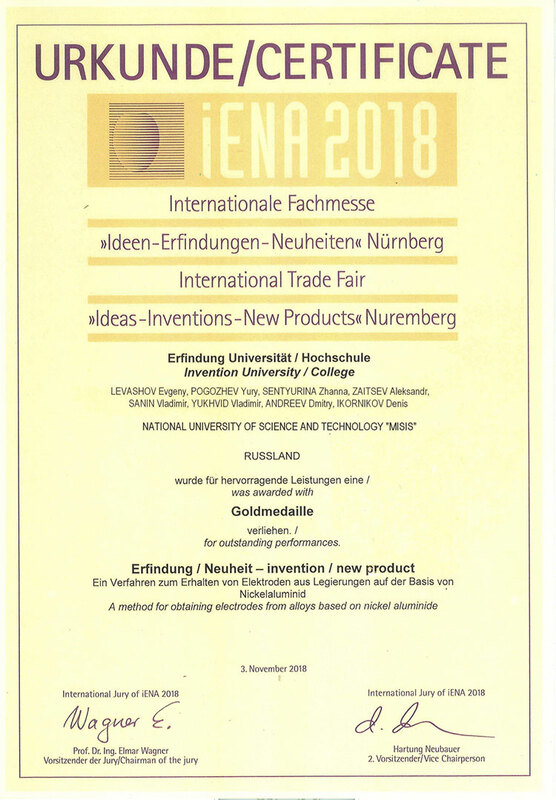 It is a great pleasure to inform that among the winners of the prestigious Exhibition iENA 2018 was MISiS and ISMAN team. 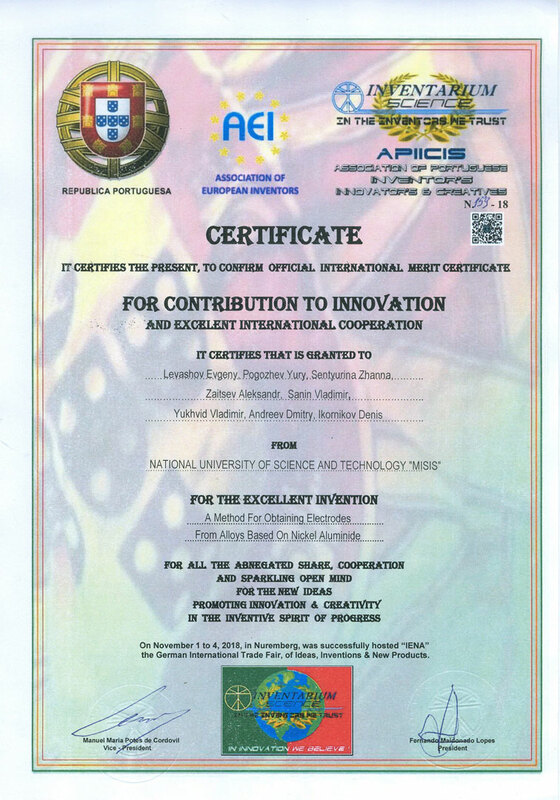 The researchers got the Gold Medal for the joint development – "Method for producing electrodes based on nickel aluminide". Congratulations to the authors with such prestigious award! We wish them new scientific achievements!